You already know. Your significant other already knows. One of you have been nice this year and the other one has been... let's just say that Santa has a special piece of coal waiting for one of you. It's okay. Not everyone can make it onto the list, but now it's time to let the world know which one of you is naughty and which one of you is nice! 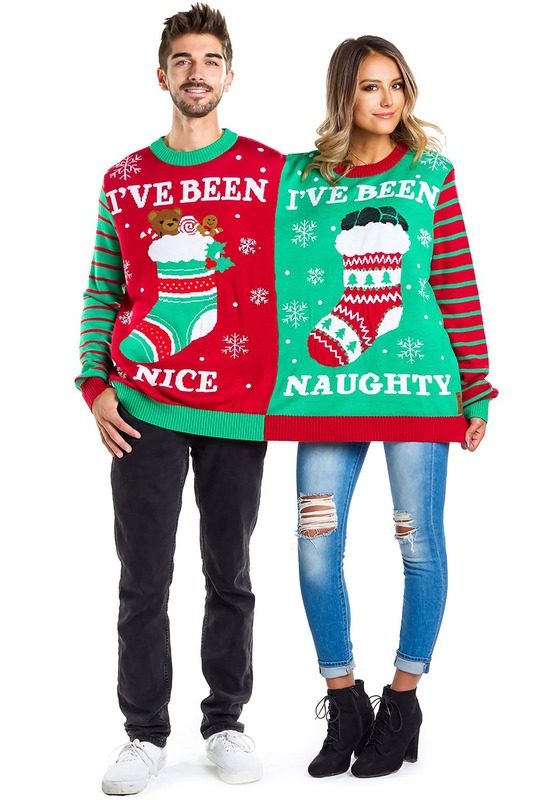 This Naughty and Nice Two Person Ugly Christmas Sweaters brings you a look that you and your significant other can agree on! The sweater is made out of acrylic material and is big enough to fit both you and the love of your life! One side has "I've Been Nice" knitted into the front, along with a stocking full of goodies. 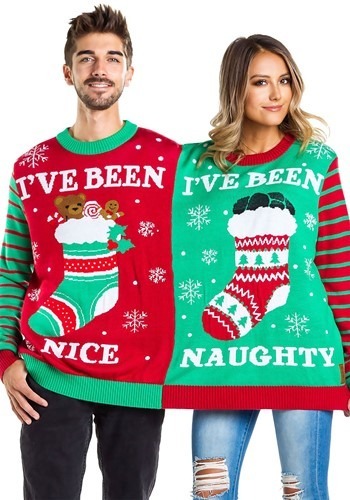 The other side has "I've Been Naughty" on the front, along with a stocking full of coal. 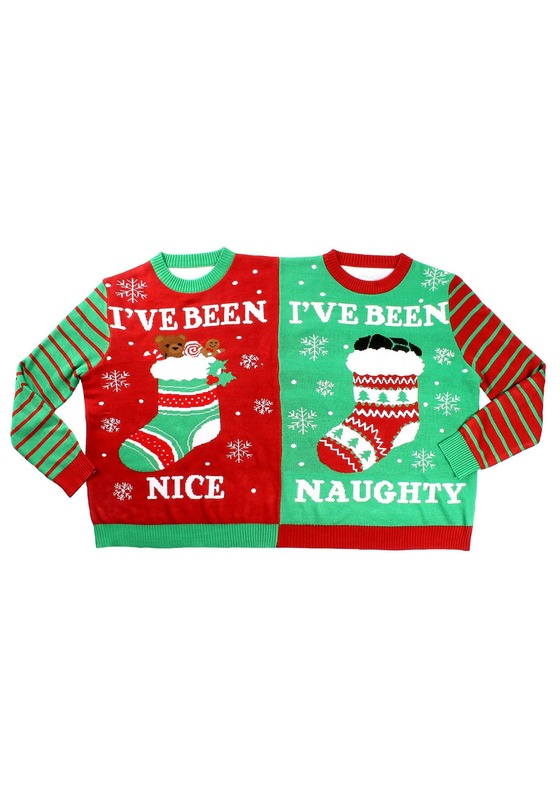 Just decide who's been naughty and who's been nice (you both know who you are). 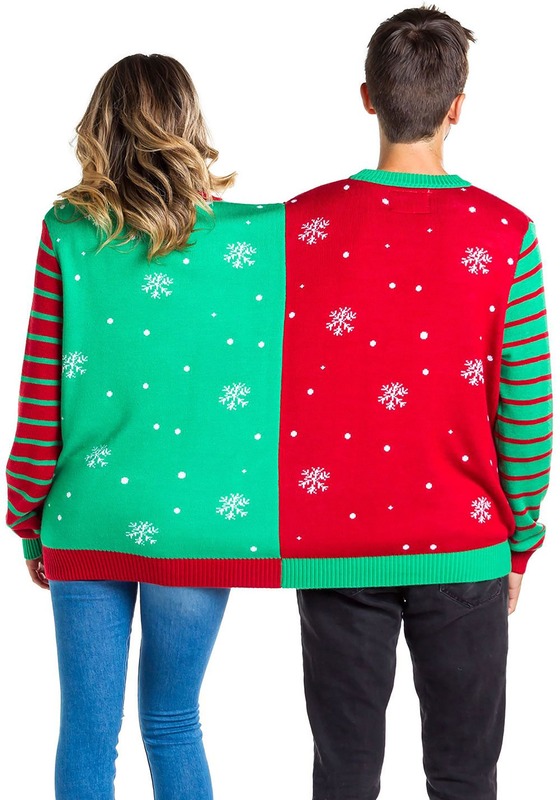 If you're looking for a funny look that you can share with your significant other, then this Tipsy Elves Ugly Christmas Sweater is a great couples' choice! Just make sure you're getting along with your significant other before putting it on!